The dramatic skyline, spectacular sunsets and dreamy waterfront of Liverpool make it an idyllic city in which to pop the big question. Here at Signature Living, we know your engagement is the first step on the path to a magical wedding, so we think you should make the proposal as romantic as the special occasion itself. The city is full of stunning viewpoints, adorable hideaways and incredible experiences that can help make your proposal a magical moment. 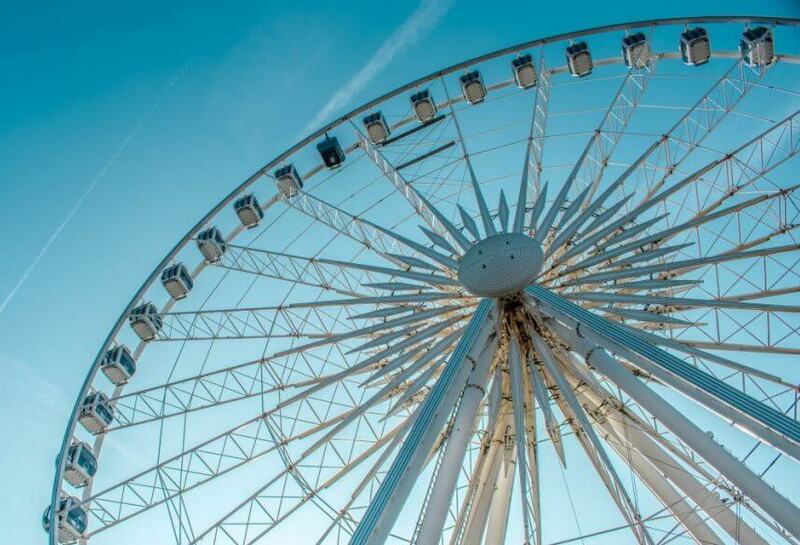 In no particular order, we’ve pulled together our favourite places to propose in Liverpool. 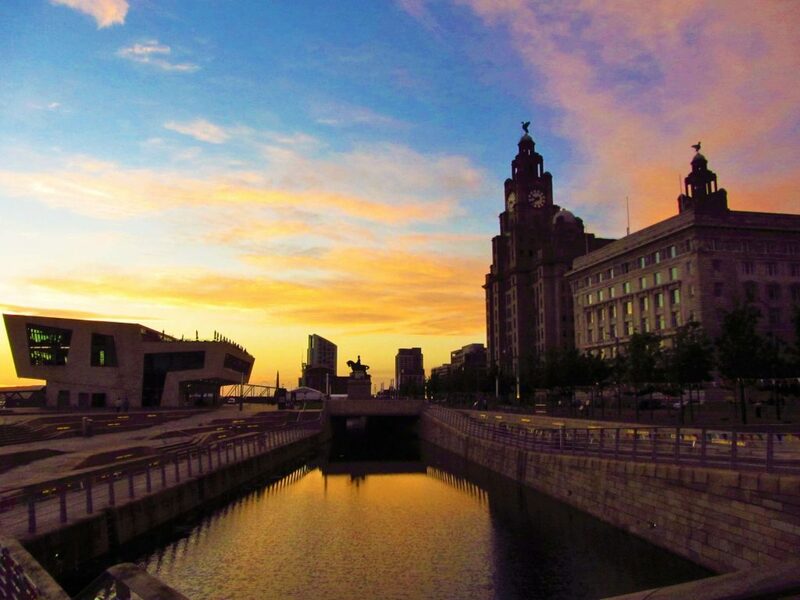 Liverpool’s iconic waterfront is undeniably one of the most romantic spots in the North West. From its palatial architecture to its stunning views across the Mersey – a proposal at Pier Head on a warm summer’s evening could be a truly unforgettable experience. The Cunard Building, one of the city’s Three Graces is situated right on the waterfront. A perfect spot to pop the question and get some snaps to mark the occasion! 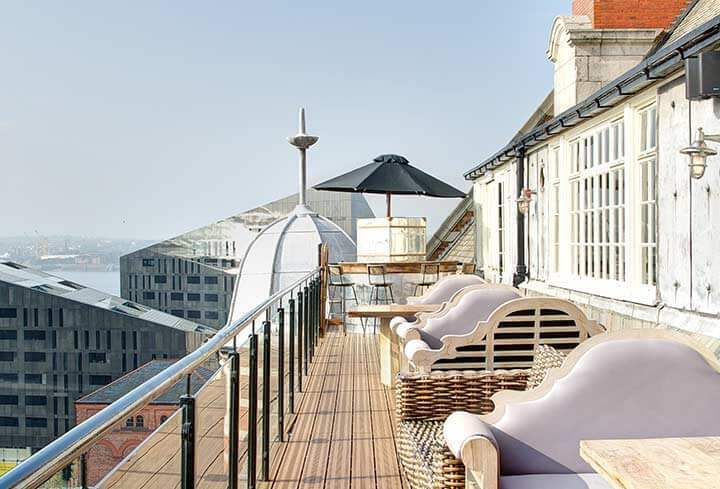 Located at the top of 30 James Street Hotel, this incredible rooftop spot is part of the amazing Carpathia restaurant and champagne bar. After an exquisite fine dining experience, why not take your spouse-to-be onto the rooftop and propose as the sun sets? Carpathia will be sure to have some bubbly on hand to celebrate afterwards. It doesn’t have to end there, though. Book yourselves into a luxury room in the hotel and see where the night takes you. 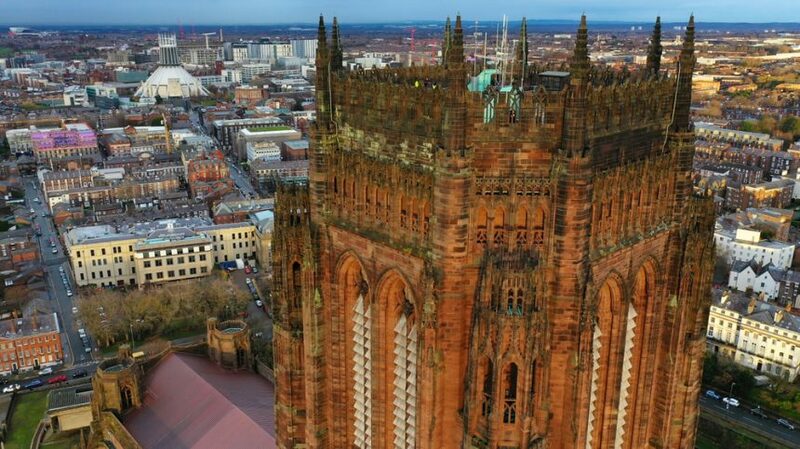 For breathtaking views and spectacular sunsets, there is no better place in the city than the top of the Anglican Cathedral. Sitting 500ft above sea level and with 360˚ rooftop views of Liverpool and beyond, the incredible Vestey tower has been the site of many Liverpool proposals. For only a few pounds, you can ascend the 108 stairs and enjoy stunning, uninterrupted views of the city, providing an unforgettable spot to begin your engagement. If you’ve ever experienced an Alma de Cuba petal shower, you’ll know it’s a moment like no other. So why not surprise your other half with the big question just as the flowers begin to fall? For those not in the know, the petal shower at Alma De Cuba happens every Friday and Saturday at 11pm in Liverpool’s most famous Latin American inspired bar and restaurant. On the hour, a gorgeous petal display rains down on revellers in the spectacular venue, as our samba dancers take to the stage for a vibrant, fun-filled performance. Plus, the formerly Grade II listed St Peter’s Roman Catholic Church and it’s new Vestry floor is available for weddings, so you can complete your wedding journey in the place it all began. 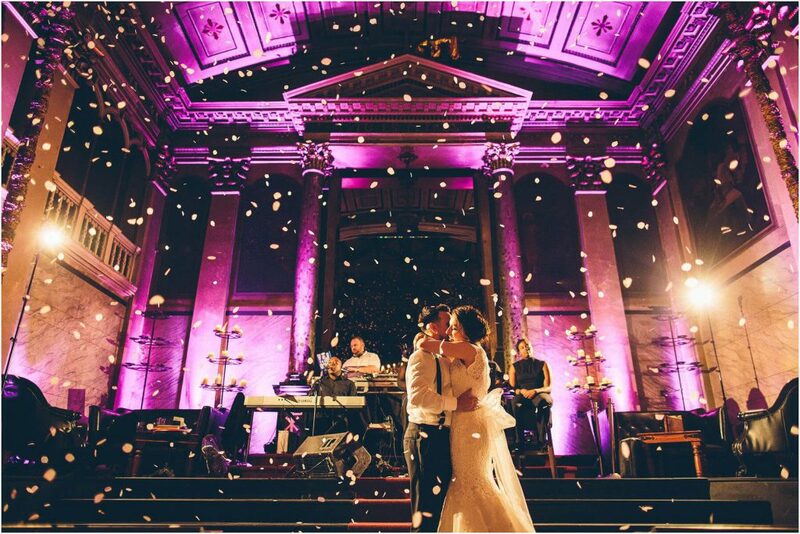 Retaining many of its original features including the altar and magnificent ornate glass windows, this spectacular venue offers a romantic venue in the heart of Liverpool for your special day. With the wheel being known as more of a tourist destination, this may be a less obvious choice. But when you think about it, you’ve got a great set up and everything you need for a proposal all in one! You’ll have privacy, amazing views and enough time to build up the courage to ask the vital question as the wheel turns. 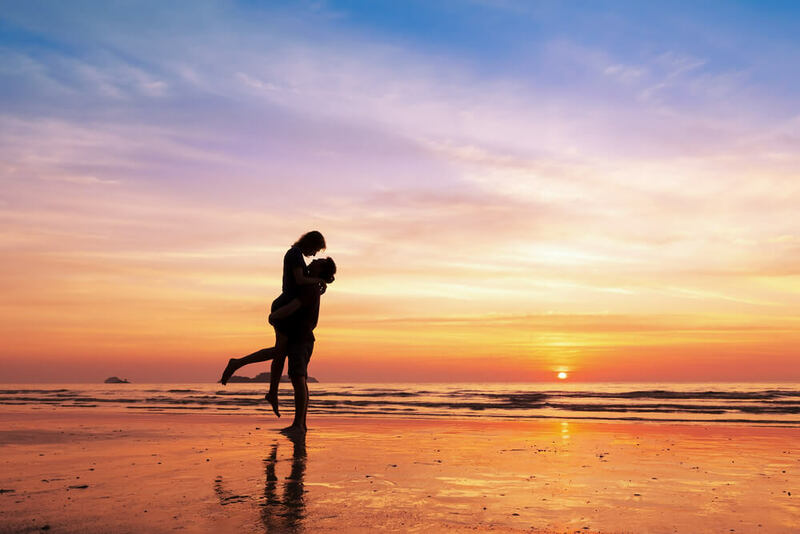 For a more relaxed proposal that takes you back to nature, a romantic stroll along Crosby beach on a Sunday Morning is the perfect time to pop the question for low-key couples. You’re sure to find a moment of intimacy on the dramatic stretch of coastline that has views out to the Wirral and North Wales. Why not book you and your partner a romantic spa break before you surprise them with the big question? 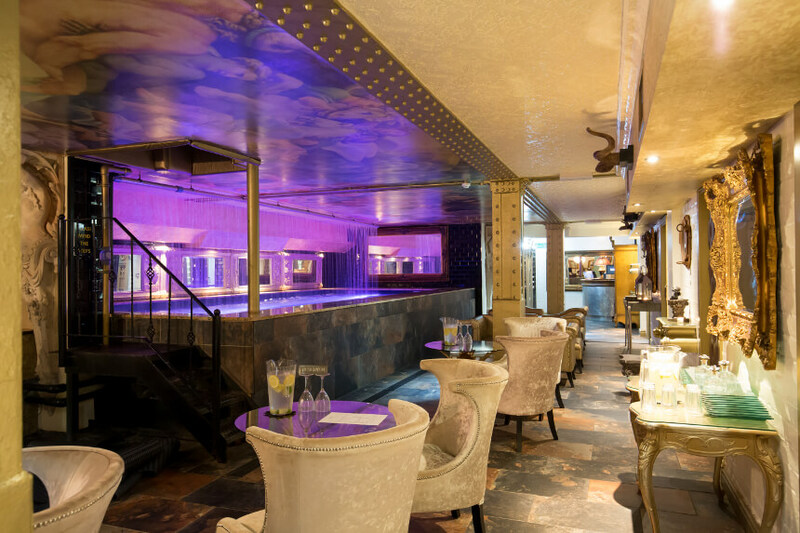 Morgan’s Spa at 30 James Street is an opulent hideaway in the centre of Liverpool that’s sure to make your partner feel preened and pampered – and more inclined to say yes! Featuring a 40sq ft hydrotherapy pool, private treatment rooms, sauna and spa-side bar, the indulgent retreat is the perfect spot to spoil your other half either before – or after – an engagement. Why not request a couples massage? 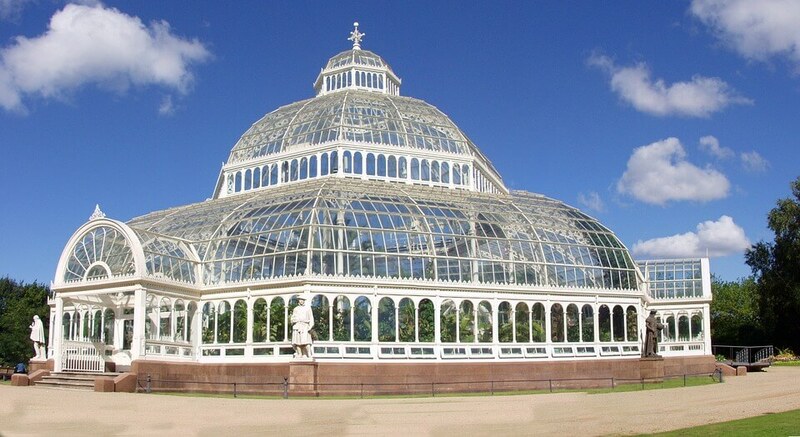 The Victorian architecture of Sefton Park Palm House evokes the dreamy days of times gone by when courting couples would take walks in the park with their betrothed. Reignite the romance of the past with a proposal amongst the arching glass windows and beautiful flora that fills this spectacular glass house. 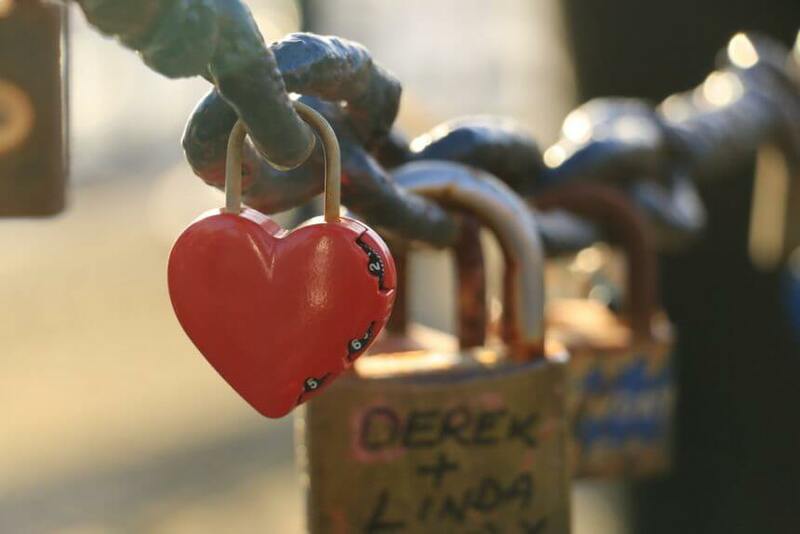 Propose right by the water and secure your own unbreakable bond with your very own love lock! Make it even more special by inscribing your own message onto the lock and leaving it as a symbol of your everlasting love. For a seductive proposal, why not book the intimately private Signature Living Lust suite and sweep your future spouse off their feet? The Lust Suite is the perfect place for a cosy, private proposal between you and your partner. 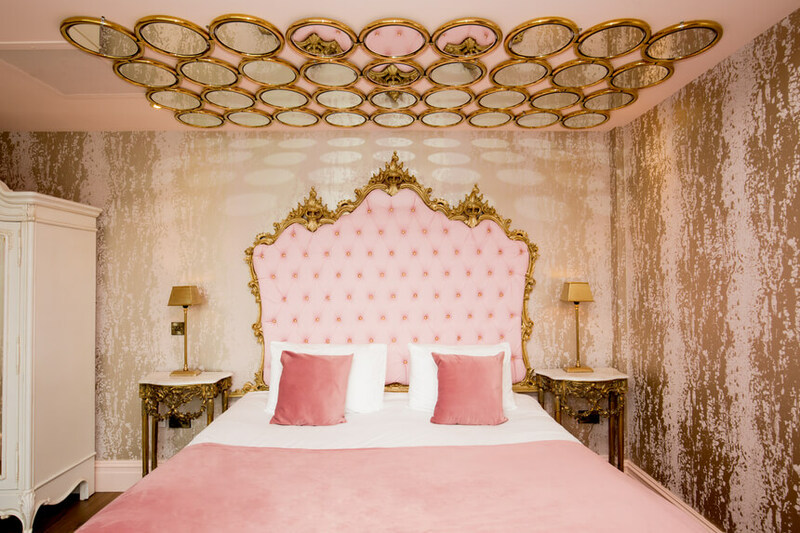 Located within The Shankly Hotel, this beautiful pale-pink suite features Signature padding and sensual velvet furnishings. Complete with an indulgent double bed, and a beautiful mirrored ceiling feature, the suite is completed by a luxurious ensuite with whirlpool bath and waterfall shower. With all this on offer for your big proposal, we reckon that Liverpool is one of the most romantic cities in the UK! Already engaged? Congrats! The proposal is only the first step on your wedding journey. Get some inspiration for your big day over on our blog! To start planning your dream day at one of our spectacular venues, contact our friendly team on 0151 236 0166. Alternatively, make an enquiry online here.